SpaceX has re-aligned its schedule for the return to flight of the Falcon 9 rocket, also coinciding with the premiere of the Full Thrust version of the launch vehicle. The company plans to conduct one launch before the year is out, currently targeting December 16 for the usual Static Fire Test to clear the rocket for liftoff on the 19th with a payload of 11 Orbcomm Second Generation satellites. To follow in the first weeks of the new year is a Dragon cargo mission to the International Space Station, the launch of the Jason-3 satellite from Vandenberg and the first GTO mission of the Full Thrust Falcon 9, lofting the SES-9 communications satellite. Falcon 9 suffered its first launch failure in June when a structural failure of a strut holding a high-pressure Helium bottle led to the uncontrolled release of pressurant gas into the second stage’s Liquid Oxygen tank that, as a result, suffered a structural failure causing the rocket’s forward section to disintegrate. 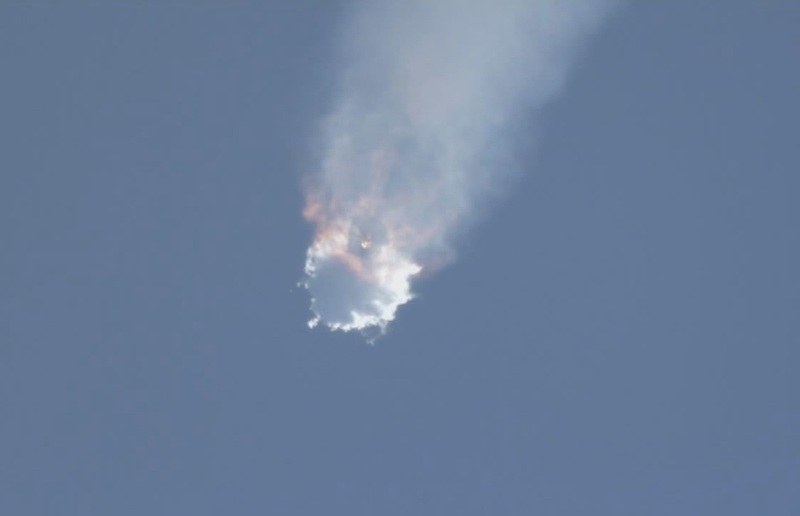 SpaceX traced the issue back to sub-standard steel in some of the struts used to hold the Helium bottles in place. 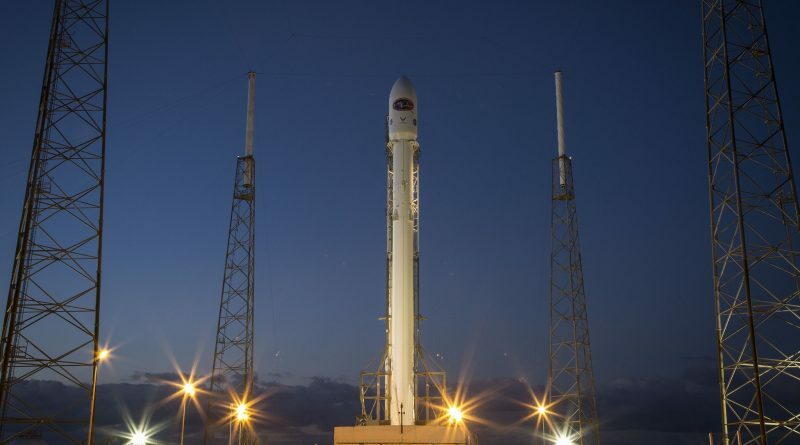 As a corrective measure, SpaceX decided to switch to higher-strength struts from a different manufacturer on both stages of the rocket before returning Falcon 9 to flight. 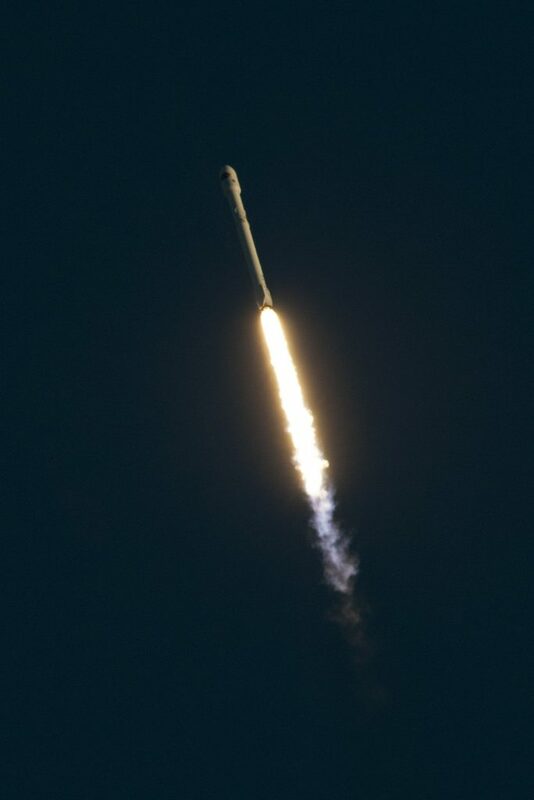 The goal of this latest evolutionary step of the Falcon 9 is to squeeze the maximum possible performance out of the launch vehicle and its engines to enable the launcher to carry heavy satellites to Geostationary Transfer Orbit while saving enough propellants for the propulsive return to Earth for re-usability of the first stage that will significantly reduce the cost of future missions, SpaceX hopes. The most notable changes on the Full Thrust version of Falcon 9 include the use of densified propellant on both stages, a change in tank sizes, a slight stretch of the interstage and second stage length, modifications in the thrust structure, weight-reduction measures and the operation of the Merlin 1D engine at its Full Thrust Setting. Falcon 9 v1.1 operated the engines at a conservative thrust level with plenty of margin that is being utilized as part of the FT upgrade to increase the performance of the rocket by approximately 33%. 1) OG2 Flight 2 is up on December 19 after slipping from an initial late November target. This date has been confirmed by SpaceX CEO Elon Musk through Twitter and a press release issued by Orbcomm, indicating that items responsible for the delays of the flight have been closed out. 2) Dragon SpX-8 stands at a NET (No Earlier Than) target of January 8 but is subject to the fluidity in both, the schedule of the International Space Station and the Falcon 9 launch manifest. The current understanding is that Dragon will take flight in February to clear the January time frame for an ISS repair spacewalk. 3) NOAA announced on Friday that the Jason-3 satellite is aiming for a Vandenberg liftoff on January 17, 2016 at 10:42 a.m. local time. This will be the final flight of the Falcon 9 v1.1 rocket and the second launch from Falcon’s west coast launch pad after the inaugural flight of the v1.1 version of Falcon 9 in 2013. 4) SES announced on Thursday that the SES-9 satellite has arrived at Cape Canaveral, being delivered from its manufacturer Boeing Satellite Systems. The launch is expected in mid-January and will be the first mission that actually requires the full performance of the Falcon 9 FT rocket. The OG2 launch campaign has reached an advanced stage as the payloads and launch vehicle have entered their final processing steps. In preparation for the debut of Falcon 9 FT, the first stage of this vehicle underwent an initial short-duration test firing at the McGregor Test Site in Texas in September followed by a full-duration test in October before the booster made its way to Cape Canaveral. The second stage also went through testing in Texas before proceeding to the launch site. 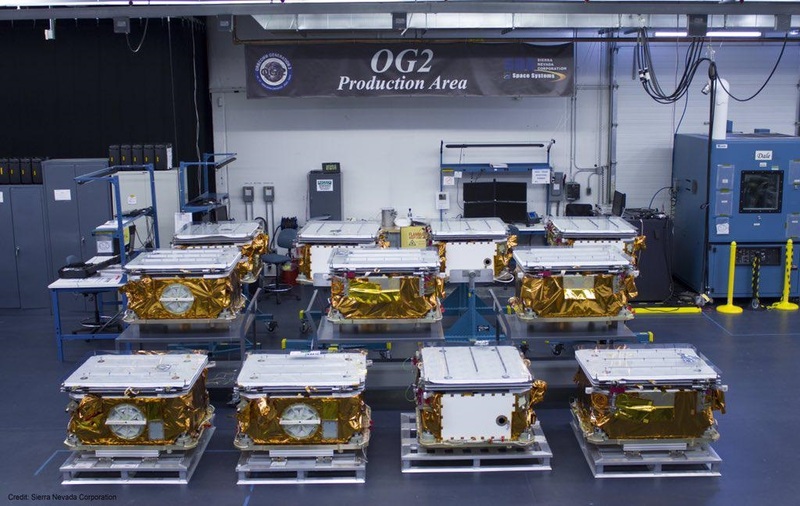 By the end of November, satellite builder Sierra Nevada Corporation finished the delivery of the eleven 172-Kilogram OG2 satellites for final processing and installation on the Moog Inc. payload adapter stack. 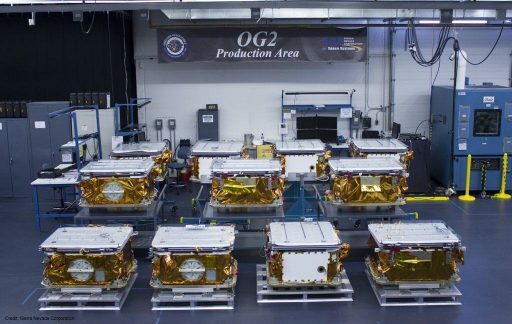 The first six OG2 satellites headed into orbit last year and this launch aims to fully establish the second generation of Orbcomm satellites primarily used for machine-to-machine communications for all branches of industry on a global scale in a store-and-forward architecture for the relay of small data packets. Taking it one step further, SpaceX not only aims to return Falcon 9 to flight and inaugurate the FT version of the launcher, the company also hopes to be able to return the first stage of the rocket to Landing Complex 1, formerly known as Cape Canaveral Launch Complex 13 where SpaceX has been establishing flat concrete pads for the on-shore landing of Falcon 9 and Falcon Heavy rocket stages.